After a 20-year absence, mainline steam finally returned to the Bluegrass State in the spring of 2014. 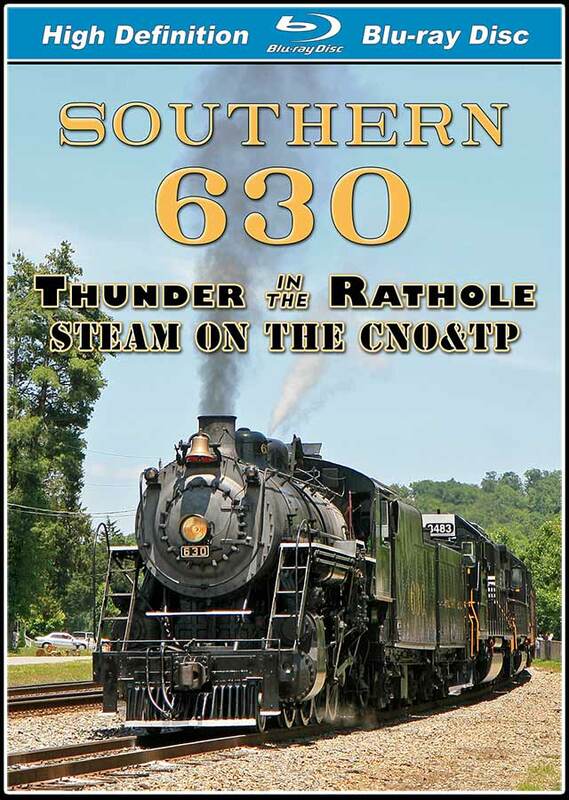 As part of the new Norfolk Southern '21st Century Steam' program, Southern Railway 2-8-0 #630 pulled a series of trips in Kentucky on the Cincinnati, New Orleans, & Texas Pacific, more commonly known as the Southern Railway's 'Rathole' line. This program begins with coverage of two roundtrip excursions between Lexington, KY and Oneida, TN over the 2nd District of the CNO&TP. 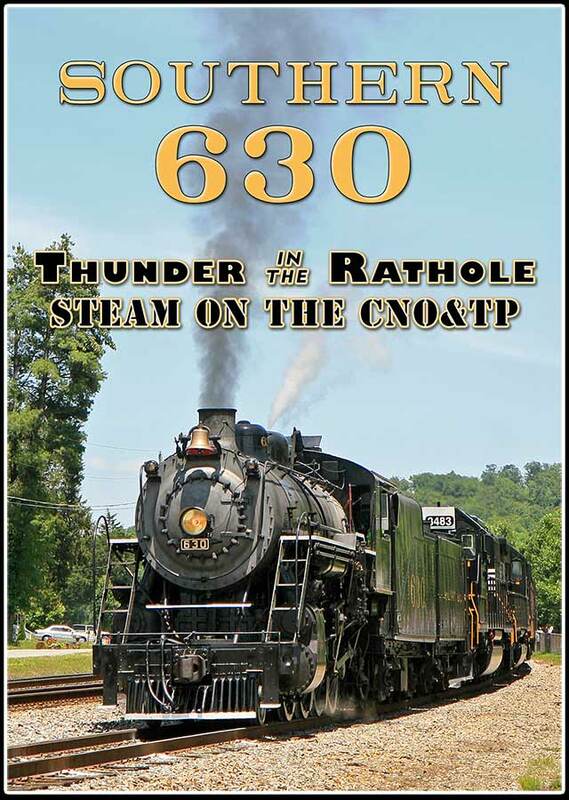 On Saturday May 31st and Sunday June 1st, #630 put on a spectacular show, pulling a 14-car train through the heart of the Rathole. While almost all of the 'Rathole' tunnels are gone, this is the most scenic portion of the famed Cincinnati to Chattanooga mainline, with many high bridges, deep cuts, and steep grades. This program also includes coverage of the last mainline trip of the spring schedule on Saturday June 7th. Departing from the Grand Junction station at the Tennessee Valley Railroad Museum, #630 travelled north from Chattanooga, TN to Oneida, TN on the CNO&TP. This excursion commemorated the 50th anniversary of 2-8-2 #4501's historic trip from the Kentucky & Tennessee Railway in Stearns, KY to her new home in Chattanooga at the TVRM. This 1964 deadhead move eventually laid the groundwork for the original Southern Railway steam program, which began in 1966. #630 puts on an impressive show in what may be her last long mainline trip. With 56-inch drivers, she sounds like a locomotive twice her size - especially while working hard at 40mph with a 14-car train. In addition to a number of thrilling runbys, you'll also see the locomotive being serviced in Oneida, as #630 is prepared for the return trip. Filmed entirely in HD, this program features high speed running with great stack talk, as #630 works hard to pull her train on a number of 1% grades. This program has minimal narration (with the option to turn it on or off) and no distracting music. chris collins (fletcher north carolina) on 2018-07-17 21:39:27.